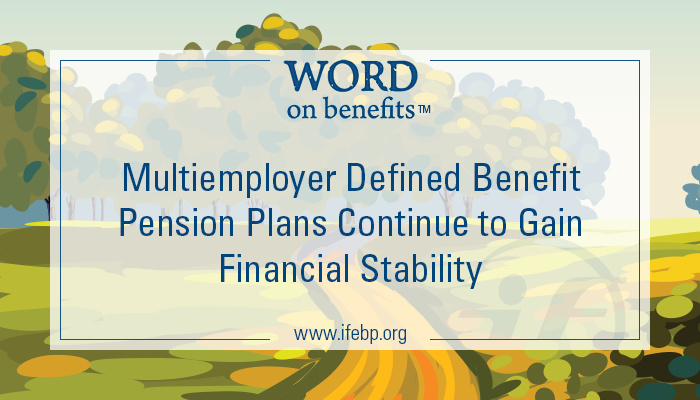 A new report, The Multiemployer Retirement Plan Landscape: A Ten-Year Look (2004-2013), reveals by the end of 2013 multiemployer pension plan funding levels had nearly recovered from the 2008 Great Recession and plan assets were up $60 billion from the previous year. 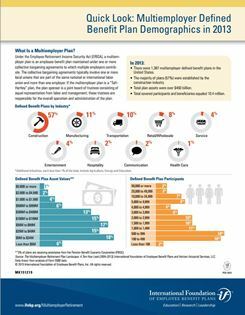 The annual benchmarking report is a partnership between the International Foundation of Employee Benefit Plans and Horizon Actuarial Services, LLC, and examines key trends in demographics, cash flows and investments for defined benefit and defined contribution plans over a ten-year period from 2004 through 2013. 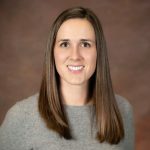 The report is compiled using publicly available information from Form 5500 filings, with 2013 being the most recent information available. Plan Numbers: As of December 31, 2013, there were 1,387 multiemployer DB pension plans, 1,349 of which were financially solvent. These plans had total assets of $460 billion, up from $400 billion in 2012. The plans served 10.4 million participants and beneficiaries. Plan Investments: Investment returns for multiemployer DB plans were quite volatile over the past decade. In the 2008 calendar year, they saw a median investment return of –23.5%. The stabilizing market resulted in double-digit returns in four of the five years from 2009 through 2013. Plan Funding: Plan trustees have taken significant action to improve plan funding levels. As of December 31, 2013, the median funded percentage was 86% (based on the market value of assets). 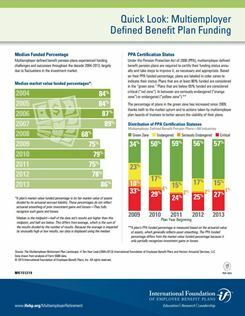 This is a significant improvement over the median funded percentage at the end of 2008 (68%) and is approaching the median funded percentage prerecession in early 2008 (89%). The increase in funding allowed more plans to enter the “green zone” under PPA. For 2013, 57% of plans had green zone status, up from 34% in 2009. Plan Demographics: At the end of 2004, the median ratio of active participants to inactive participants was nearly 1:1, meaning there was almost the same number of active participants, with contributions made on their behalf, as there were inactive participants. By the end of 2013, the median ratio of active to inactive participants was 6:10. Plan Numbers: As of December 31, 2013, there were 1,132 multiemployer DC retirement plans. These plans had total assets of more than $120 billion and covered more than 3.7 million participants and beneficiaries. A majority of these plans—at least 80%—were offered in tandem with a DB plan. Plan Investments: The volatile economy over the past decade significantly impacted investment returns for multiemployer DC plans. In 2008, the median investment return was –21%; in 2013, the median investment return was 15%. 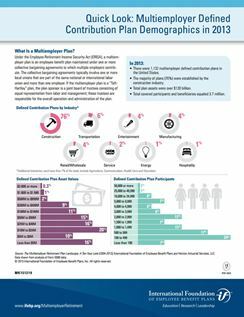 The Multiemployer Retirement Plan Landscape: A Ten-Year Look (2004-2013) can be downloaded at www.ifebp.org/MultiemployerRetirement. The report is free for International Foundation members.